Home / bodyhack / hardware / science / wearables / Is this gonna be the next step for Google Glass Project? Is this gonna be the next step for Google Glass Project? Il sistema di protesi retinica Argus II (“Argus II”) è il primo e unico dispositivo al mondo approvato e destinato a ripristinare parte della visione funzionale in persone affette da cecità. Argus II è stato approvato per l’uso negli Stati Uniti (FDA) e in Unione Europea (Marchio CE), è disponibile in alcune nazioni europee, e a breve lo sarà in molte altre. 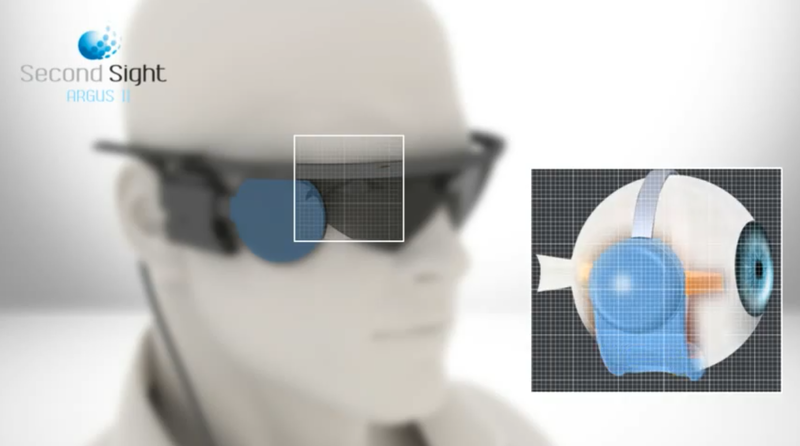 The Argus II Retinal Prosthesis System (“Argus II”) is the world’s first and only approved device intended to restore some functional vision for people suffering from blindness. Argus II is approved for use in the United States and the European Economic Area.